Spring has come on Nodeul Music island. It's a perfect season to find musical inspirations for your music. 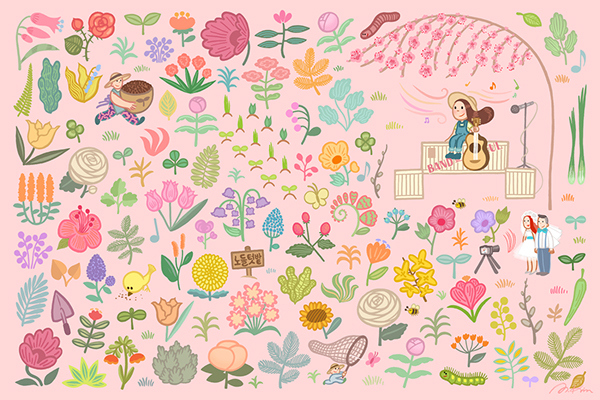 This illustration is the first piece of "The four seasons on Nodeul Music Island" series.